The short answer is: unmarried parents have the same rights as married parents in Oregon. Of course, there’s more to it than that, but at a basic level, there you go. There’s a frequent connection between divorce and custody battles. Many divorces feature parents fighting about parenting plans, visitation, vacation, and the like. But what changes when there wasn’t a wedding involved? When determining child custody, the courts put the best interests of the child ahead of all other concerns. Regardless of other factors, this one thing takes priority. The courts want kids to be cared for as well as possible, including both physical and emotional safety. This is the case when parents divorce, and it’s the same for unmarried parents. As written, Oregon law doesn’t favor one parent over the other in custody cases. Both mothers and fathers have equal right to pursue this course of action. In fact, the courts view keeping both parents in a child’s life as the best option. 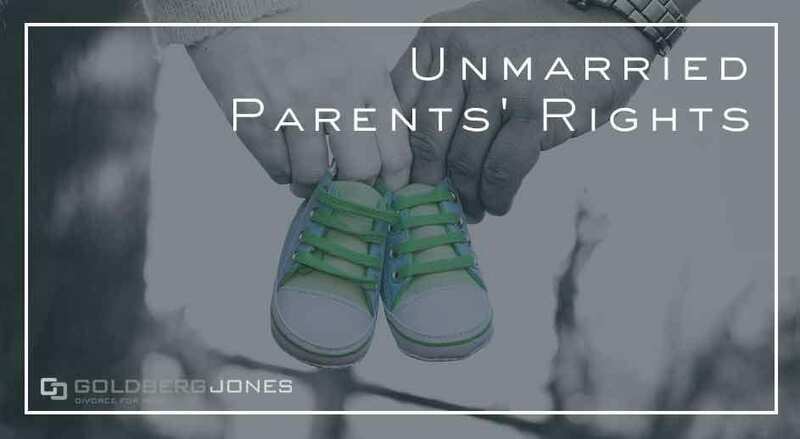 Essentially, unmarried parents have the right to remain in their children’s lives. Cases of abuse or unsafe living conditions present an exception to this rule. But outside of those extreme situations, you’re entitled to press for child custody. Again, this goes for unmarried parents the same as for divorcing couples. There is one key way custody differs for unmarried parents than those who divorce. Unlike with divorce, the court doesn’t automatically rule on custody and visitation. Unmarried parents must either come to an agreement on their own or pursue legal action to settle the situation. As in most custody cases, the courts consider the same factors for married and unmarried parents. They account for many elements, but the parent who provides the most stable environment usually has the edge. Things like a parent’s relationship with the child, proximity to school, and other factors also carry weight. Many judges are reluctant to shake up a child’s routine in drastic fashion. As a result, if they can keep a child in his or her same school, or in the same home, those factors can influence a ruling. Similar to child custody, the state views child support the same way for married and unmarried parents. Child support payments in Oregon cover everything that contributes to a child’s care until they hit 18. At least in most cases. This includes basic necessities, like food, clothing, and shelter. But it can also cover things like medical care and continuing education. The courts usually award child support after divorce. But since we’re talking about unmarried parents, this also applies in those cases. Regardless of marital status, the court most often awards child support to the custodial parent. That is the parent with the most overnights in the parenting plan and who cares for the child most of the time. While child custody varies from case to case, child support in Oregon follows a strict formula. The primary inputs in determining child support are incomes of both parents, parenting time and in particular overnights, health insurance, support for other children and daycare. There may be other factors that could also apply, however, these are the most applicable. In Oregon, you plug all of the relevant information into a formula and it gives you a number.